We have a very well trained team that truly cares for your oral health and our doctors are absolutely the best. We are a patient-centric practice that works hard for our patients, giving them top-notch dental care along with 5-star customer service. 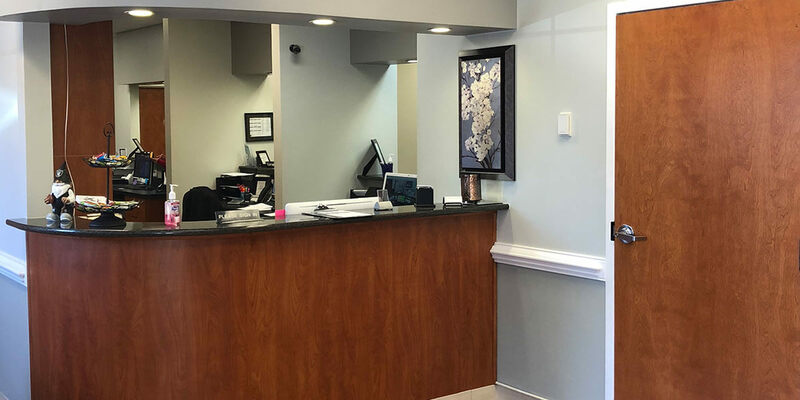 We offer amenities in our practice that most do not. We have a comfort menu that patients can look at and choose items that help make their time with us a comfortable as possible, including blankets, neck pillows, lip balm, aromatherapy, scented and non-scented face wipes to name a few. We provide Starbucks coffee that can be made while you are waiting or taken to go, bottled water and Bai drinks are also available. We carry a wide range of snacks to include fresh daily baked Otis Spunkmeyer cookies, just in case you need a snack while you wait for a loved one or you need it to go. We also provide charging stations for our patients’ cell phones and offer games to children that are in the practice. We have an amazing finance team that will go over your insurance and your treatment plan to maximize your insurance and to make sure you understand the investment you are making in your mouth. We have extended hours that help those patients that can not get off from work. We can offer same day crowns for those patients that lead busy lives and can’t come back to have it delivered. We also offer sedation to those patients that are fearful of getting work done. We provide a relaxing and safe environment where they can take a nap and have their dental work completed.